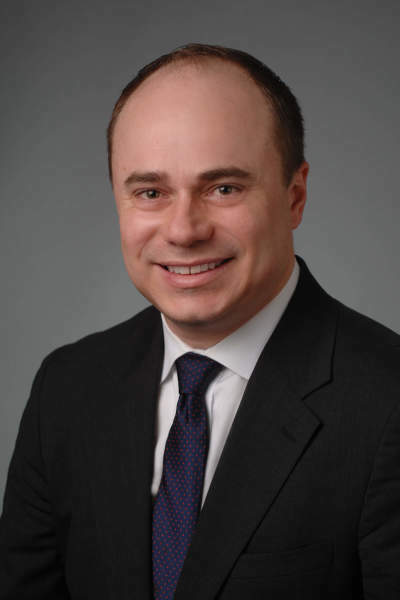 Thomas Fawkes focuses his practice on bankruptcy, creditors’ rights and financial restructuring matters, representing official committees, unsecured and secured creditors, debtors, financial institutions, post-confirmation trustees and asset purchasers in chapter 11 and 7 bankruptcy cases, out-of-court restructurings, and liquidation proceedings throughout the United States. Thomas has represented clients on a wide array of matters, including plan confirmations, preference, fraudulent transfer and other bankruptcy litigation, cash collateral and debtor-in-possession financing, Section 363 sale transactions, real estate and equipment leasing disputes and claims reconciliation. Thomas also assists his clients in structuring commercial transactions with a view towards mitigating risk of future bankruptcy and insolvency losses. Thomas has been selected by the editors of Turnarounds & Workouts as an Outstanding Young Restructuring Lawyer, an honor given to only 12 attorneys across the United States each year. He was recognized particularly for his representation of creditors’ committees in multiple chapter 11 cases, as well as his representation of creditors and other parties in notable bankruptcies such as Eastman Kodak Company, American Airlines and Residential Capital. When not counseling clients, Thomas is an active participant in the turnaround and restructuring community, with long-standing memberships in multiple professional associations, including the American Bankruptcy Institute and the National Association of Credit Management. Thomas also frequently writes, lectures and comments on bankruptcy and restructuring topics, and his publications have been featured in Financier Worldwide, The Bankruptcy Strategist, American Bankruptcy Institute Journal and Crain’s Chicago Business, among others. Prior to joining Goldstein & McClintock, Thomas was a partner in the Bankruptcy and Financial Restructuring Practice Group at Freeborn & Peters LLP, a prominent mid-sized law firm in Chicago. Thomas started his career at Skadden, Arps, Slate, Meagher &Flom LLP, a global law firm of over 2,000 attorneys, in its Corporate Restructuring Practice Group. "Legal Options for Dealing with Delinquent Customers." NACM Connect Legal Symposium, St. Louis (2015). "Fraud Protections." National Association of Credit Management National Construction, Auto Glass and Architectural Metals Credit Groups (2015). "Personal Guaranties." NACM Consumer Products and Home Centers Credit Groups (2015). "Anatomy of a Chapter 11 Case." Iowa Chapter Federal Bar Association, 33rd Annual Bankruptcy Conference (2014). "Chapter 11 Plan Analysis for the Credit Professional." National Association of Credit Management Upstate New York Credit Conference (2014). "Professional Responsibility in Bankruptcy Cases. ", The Chicago Bar Association (2013). "Where's the Beef? Restructuring and Chapter 11 Issues in the Restaurant, Franchise and Food Industries" American Bankruptcy Institute Central States Bankruptcy Workshop (2012). "Pre-Bankruptcy Planning, Credit Protection and Restructuring Agreements." 9th Annual Negotiating and Drafting Major Business Agreements Conference (2009). "Recharacterization of Debt to Equity," West Commercial Bankruptcy Litigation 2d, 2015 ed. "Third Circuit Revives Committee’s Deepening Insolvency and Breach of Fiduciary Duty Claims," The Bankruptcy Strategist, Volume 29, Number 2, December, 2011. "2010: A Return of the Dynamic Section 363 Auction?," Financier Worldwide, March 2010. "Threats and Opportunities in the Retail Sector," Financier Worldwide, March 2009. "Revisiting Till: Has a Consensus Emerged in Chapter 11s?" ABI Journal, July/August 2008. "The Proposed E.U. VAT on Electronically Transmitted Services: Enforcement and Compliance Issues," 22 N.W. J. Int’l L. & B. 47.